Integrated into the attractive Mountain Bike Bracelet are a bike frame, wheel and sprocket. 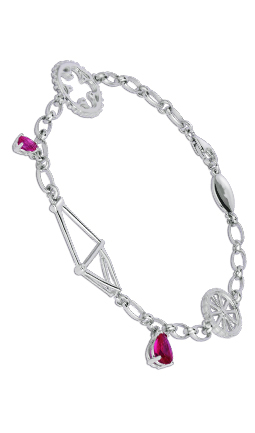 The frame is flanked either side by a created ruby which hangs from the bracelet chain. The Mountain Bike Bracelet is 925-silver.